Featuring the festive season’s most controversial vegetable, these modern crackers are perfect for foodies. They contain cookie cutters, shot glasses, honey drizzlers and mini graters. 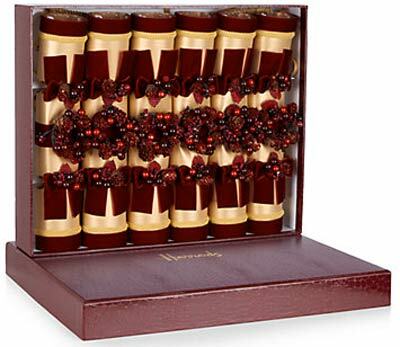 These extravagant quilted crackers feature golden berry detail and come in a luxurious wooden box. Gifts include Alex Monroe jewellery and leather-covered hip flasks. 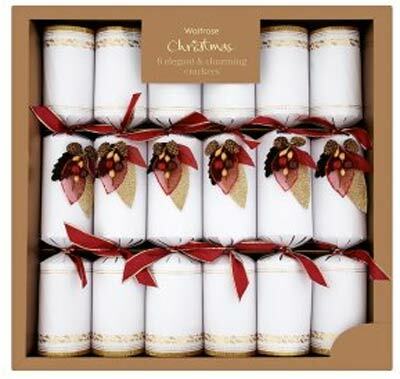 Snowy white with a subtle design and red ribbon detail, these classic crackers will complement a chic dinner table and are filled with flexible calculators, digital photo frames and silver plated condiment sets. These fun Cluedo crackers will kick start the fun on Christmas day. Containing the board game, they each star a different legendary character. Dripping with glossy ruby berries, velvet bows and pine cones, these golden crackers are home to handmade bespoke headgear, trivia booklets and individually wrapped gifts. 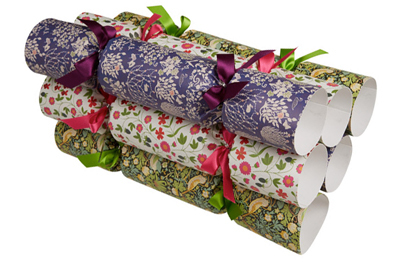 Filled with charming wooden gifts – including yo-yos and stamps – these colourful and merry crackers will be a hit with both children and grown-ups. 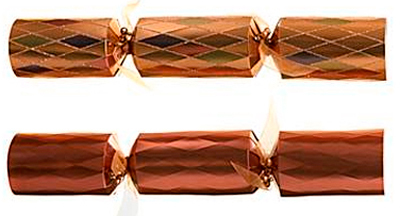 Get crafty on Christmas day with these very contemporary crackers. 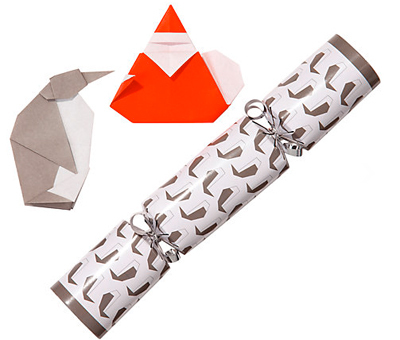 As well as containing a hat, trivia, a charade and joke, they also come with sheets of origami paper. 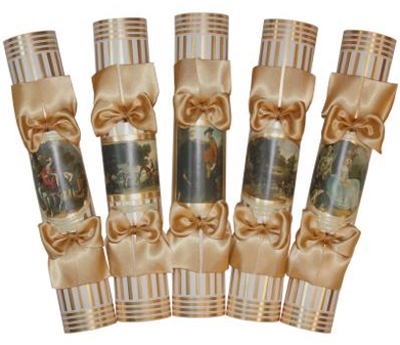 Starring paintings from the English Masters, these handcrafted crackers have a traditional trim and are filled with grown-up gifts including copper herb markers, wooden juicers, mini tea infusers and wooden eco colouring pencils as well as a magnetic tasselled bookmark. 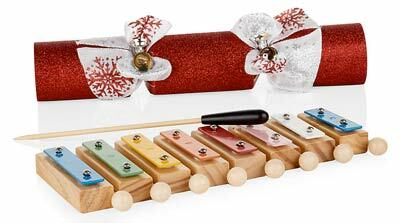 Not only will these glittering red crackers add sparkle to your celebrations, they also contain individual xylophones so you can show off your musical prowess. lights giving your dinner table a warm glow. 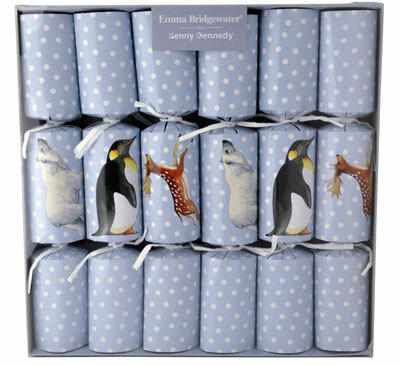 Featuring adorable illustrations of festive animals, these polkadot crackers will look elegant on a family table. They contain treats like mini magnifying glasses and pretty silver charms.